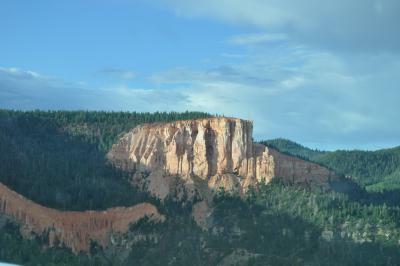 Click on any photo for an enlargement. 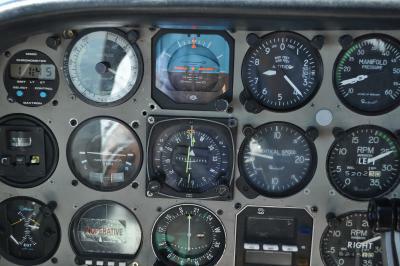 Or, jump back to page 1. 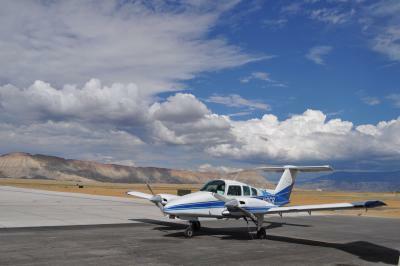 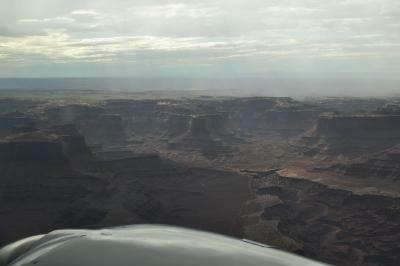 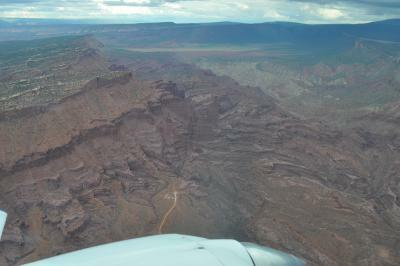 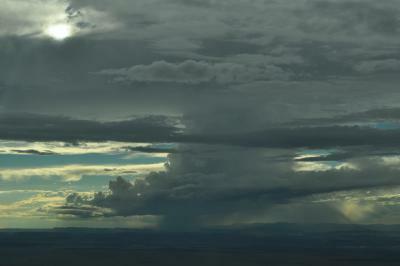 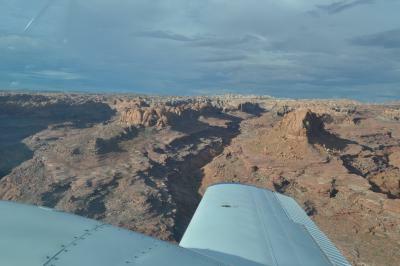 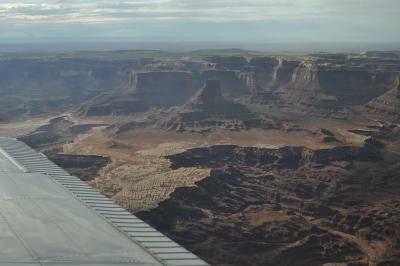 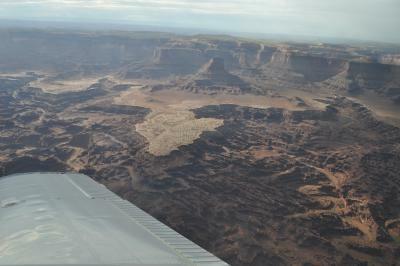 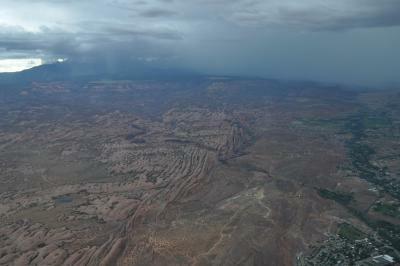 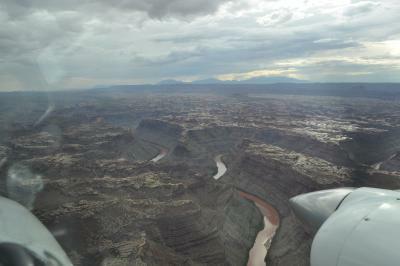 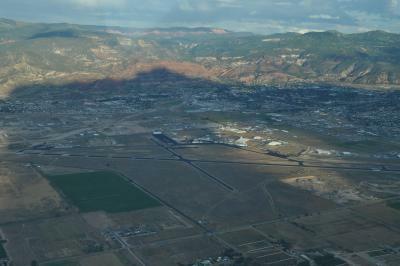 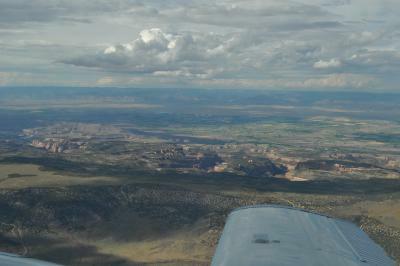 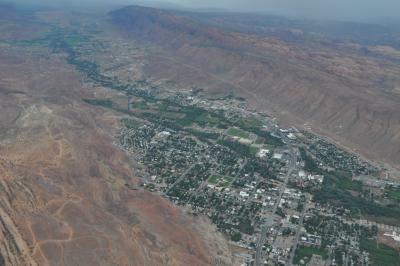 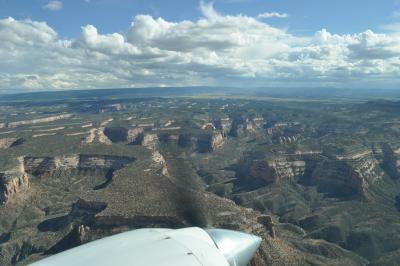 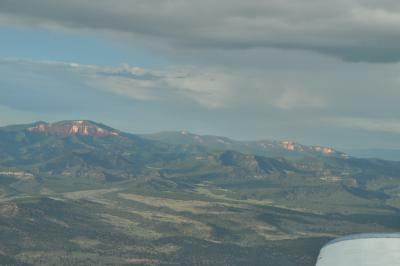 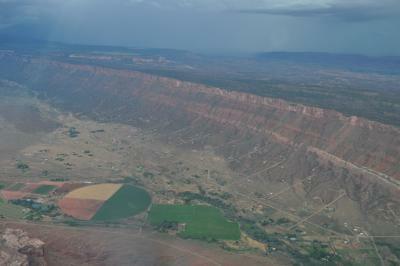 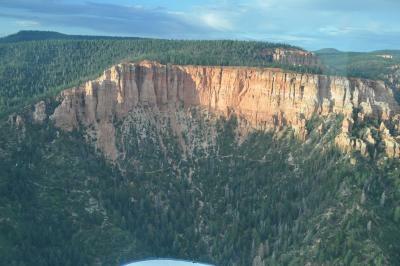 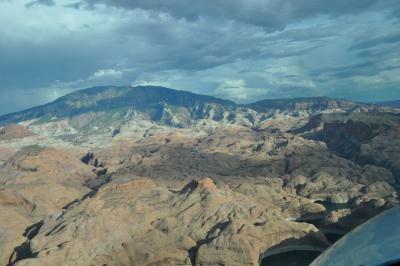 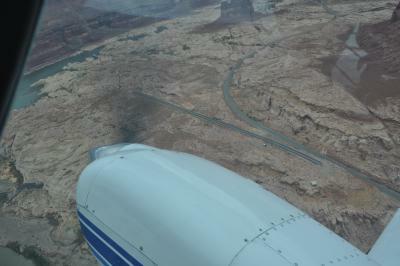 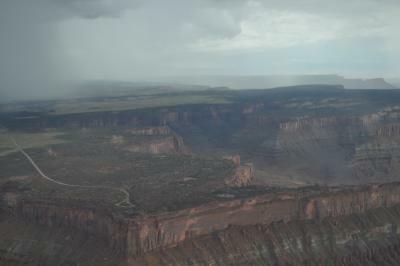 Climbing out of Grand Junction towards Canyonlands. 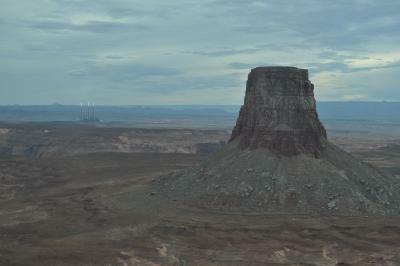 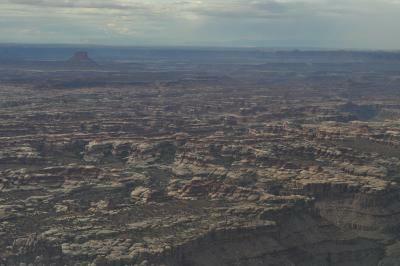 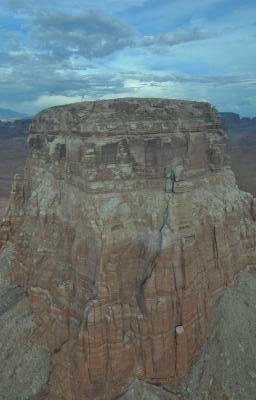 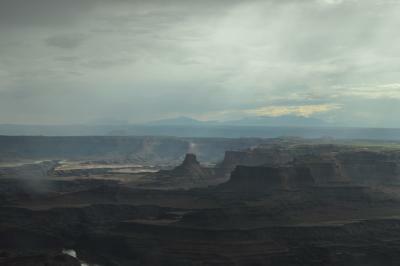 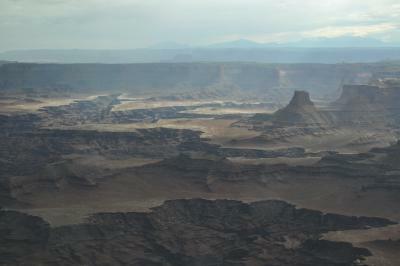 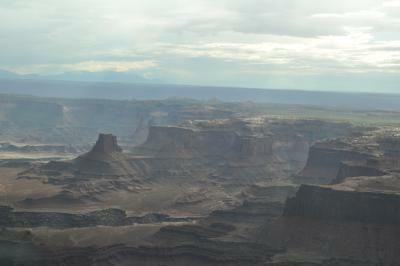 Entering Canyonlands. 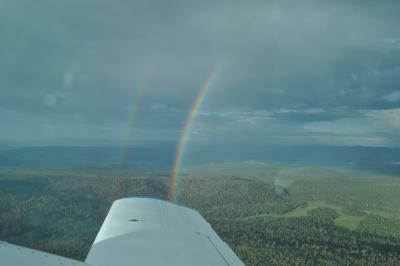 This was some beautiful flying. 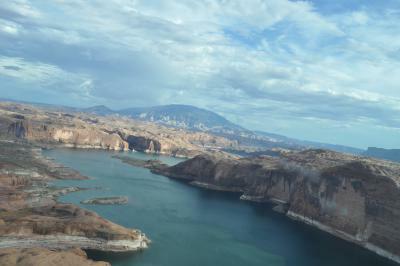 I like how you can see the earth literally being eaten away by water in this picture. 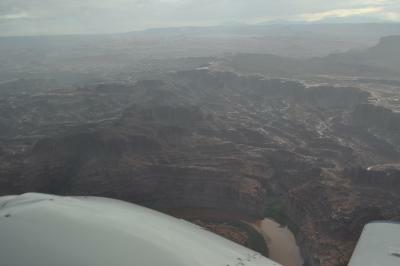 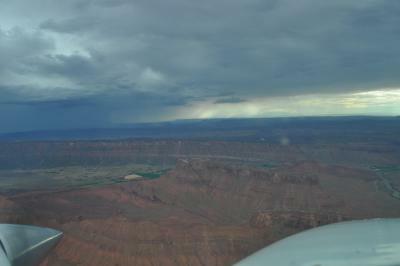 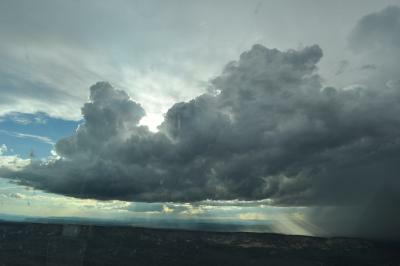 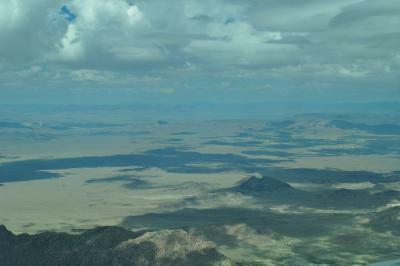 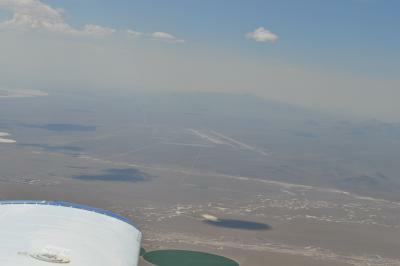 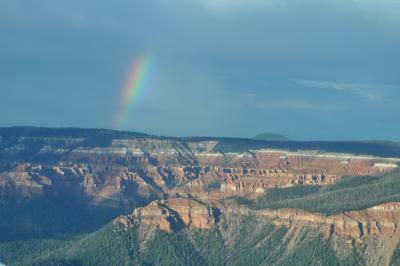 We kept flying through light rain, which is why this pic is so washed out. 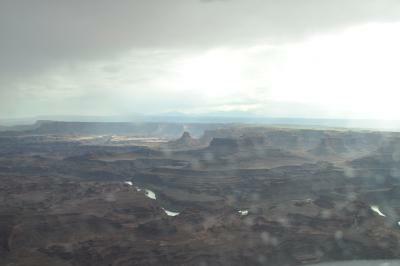 The rain made the rocks a bit shinier and more reflective. 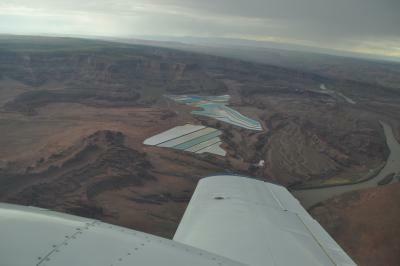 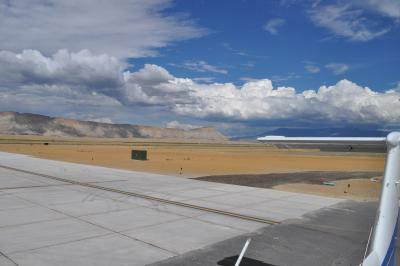 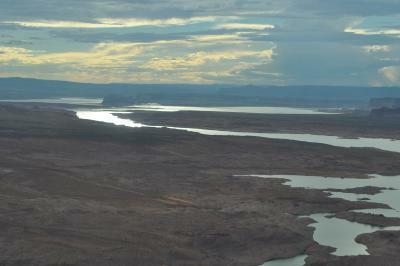 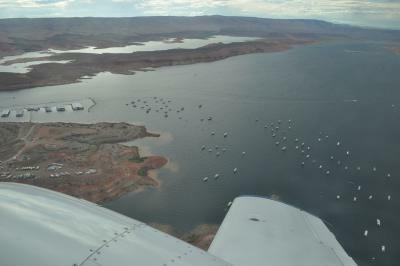 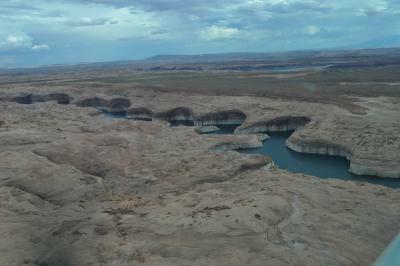 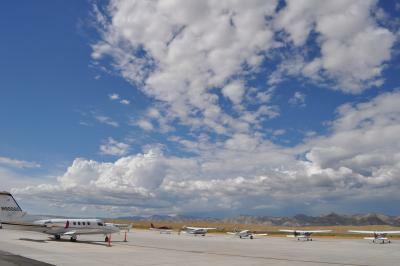 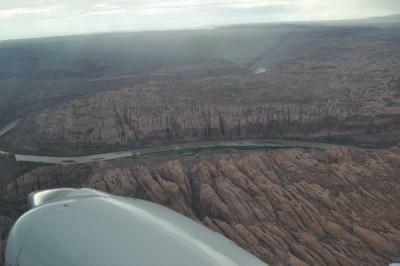 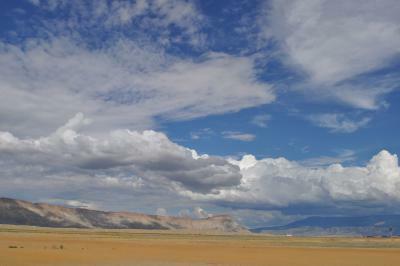 Hite, a private runway at the northeastern end of Lake Powell. 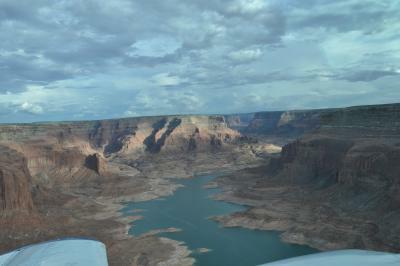 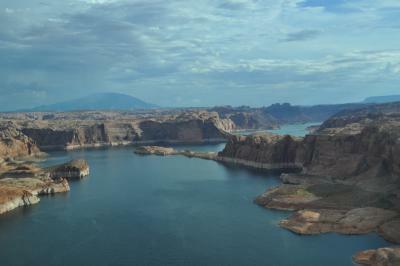 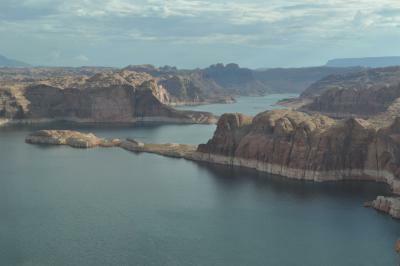 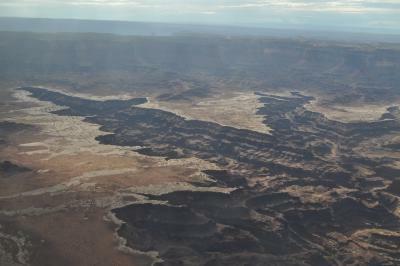 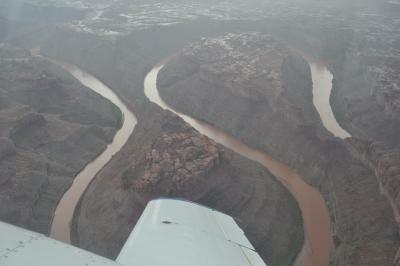 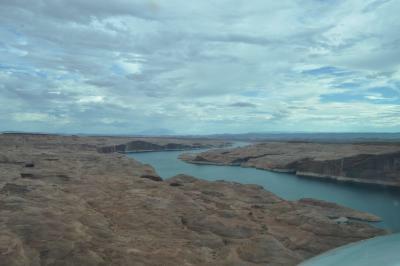 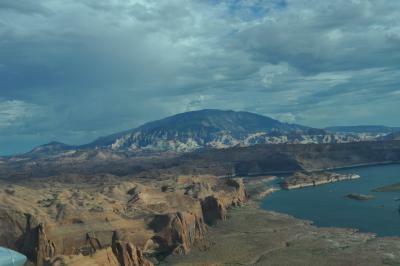 There is some pretty cool erosion patterns on some of the tributaries into Lake Powell. 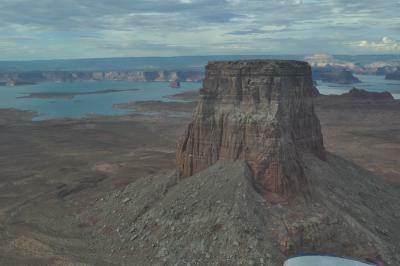 A spire to the northeast of Page, Az. 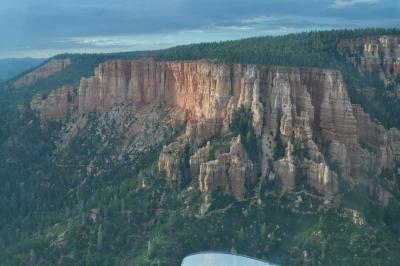 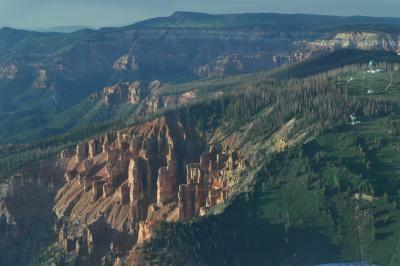 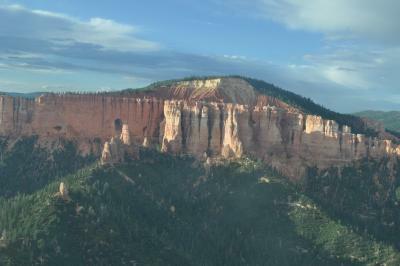 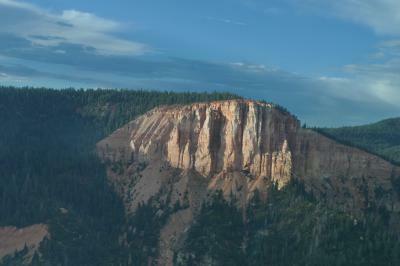 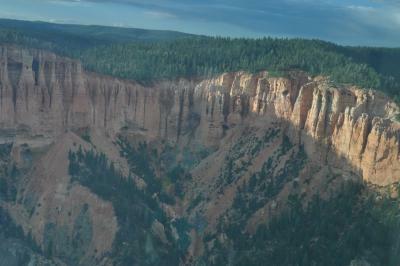 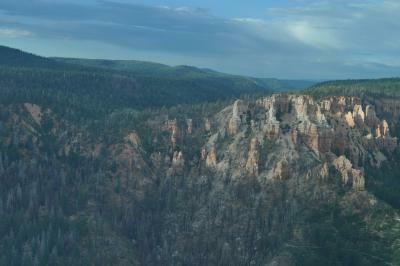 The back side of Brycan Canyon. 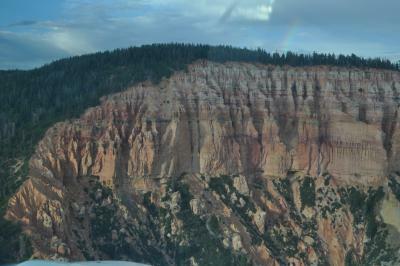 It's just as pretty as the National Park part. 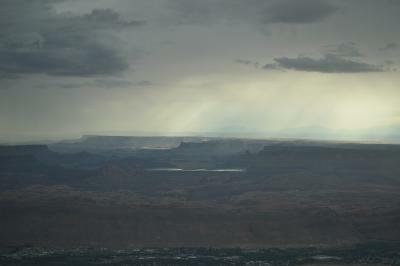 We got our timing pretty good with the late-day sun. 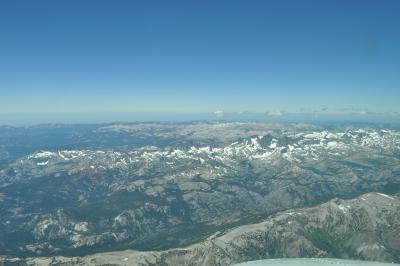 Appraching the White mountains just east of the Sierras near Yosemite. 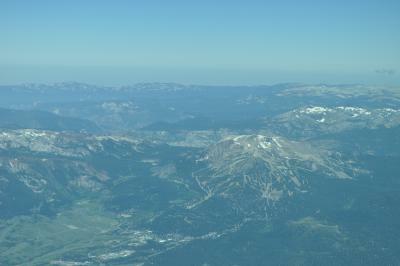 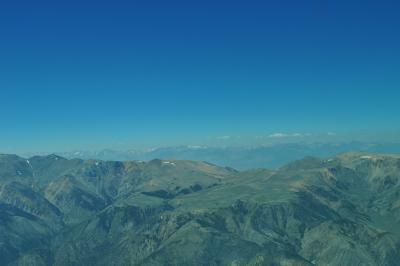 Mammoth ski resort and the Sierras. 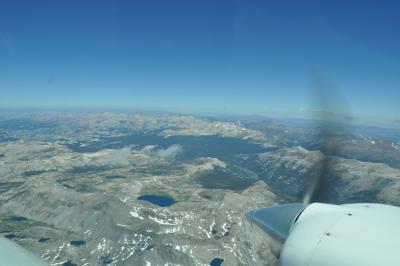 We were going high "just because" and it was totally worth it. 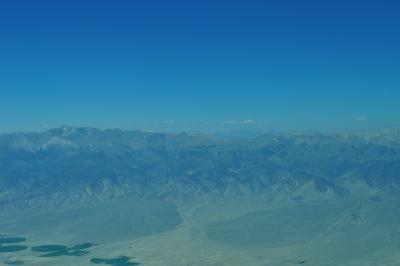 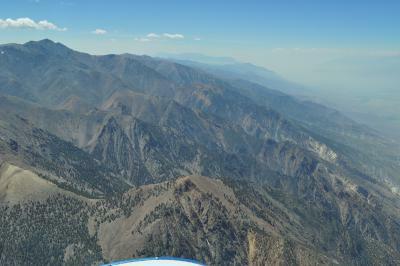 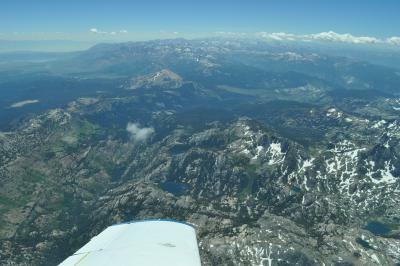 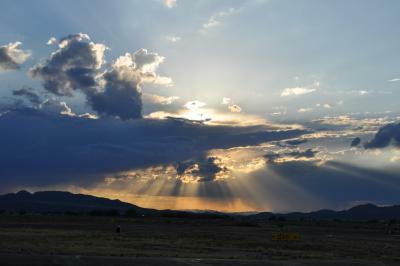 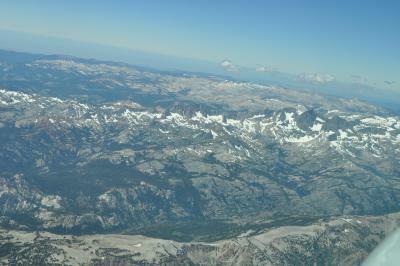 A hundred miles of the sierras coiuld be taken in out the window. 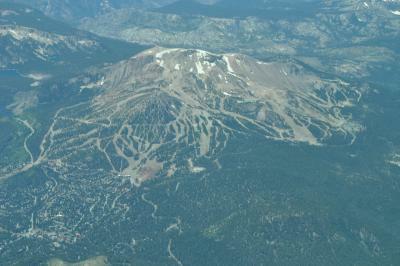 Almost made it to 17,500, our goal. 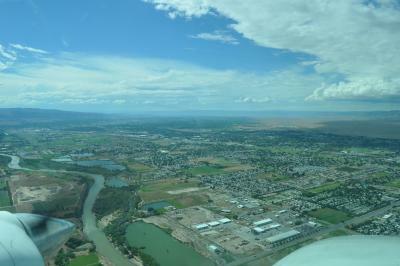 Only 1-200 FPM climb rate now. 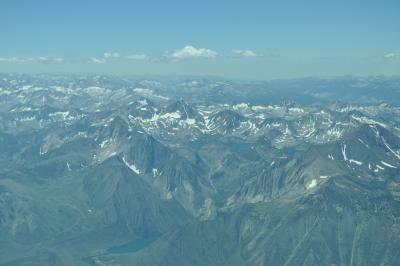 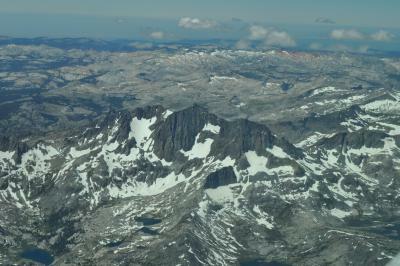 Mount Ritter and Mount Lyell - the sharp peaks just right of center. 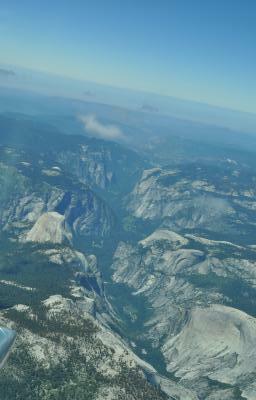 Yosemite Valley is near the right of this picture in the distance. 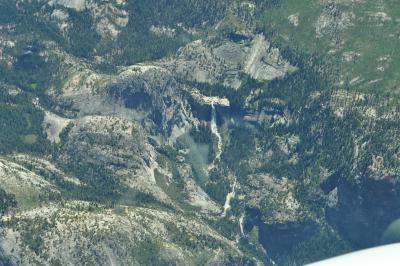 The big green area is Tolumne Meadows. 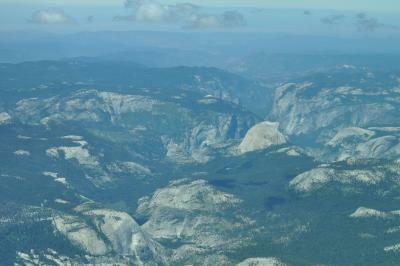 The Yosemite Valley is off to the left. 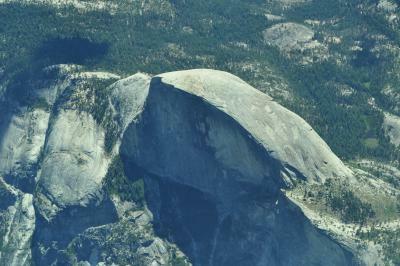 Looking at the back of Half Dome. 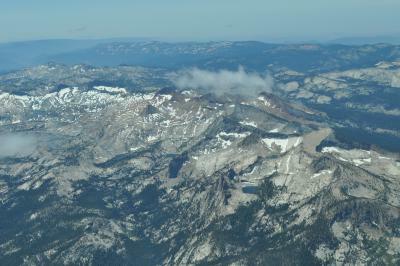 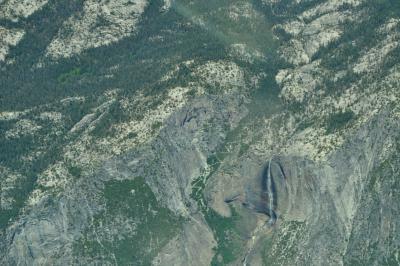 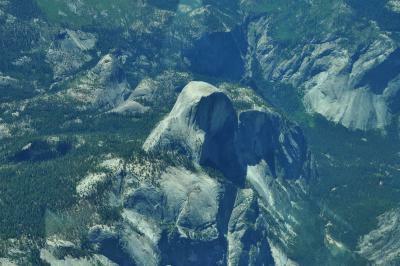 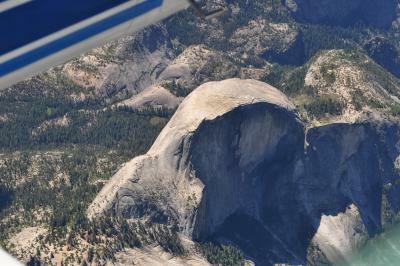 Half Dome from about 16,000 feet. 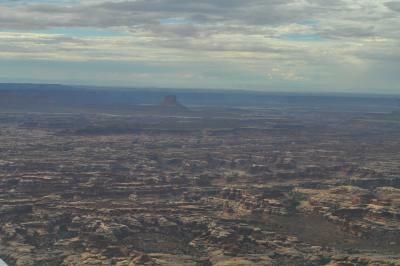 And sadly, from there we were back home.